The romantic city of Fuessen and the marvellous environment are an ideal place for hiking, skiing and paragliding. Enjoy the day and take a meal in tweedy mountain cabanas and homely taverns. Relax on the beautiful lakes Lake Forggen, Lake Hopfen and Swan Lake and do swimming, sailing and in winter ice skating. And visit the castle of Neuschwanstein, the castle of Hohenschwangau and the castle of Linderhof, the most beautiful and famous castles of mad Kind Ludwig in Bavaria! 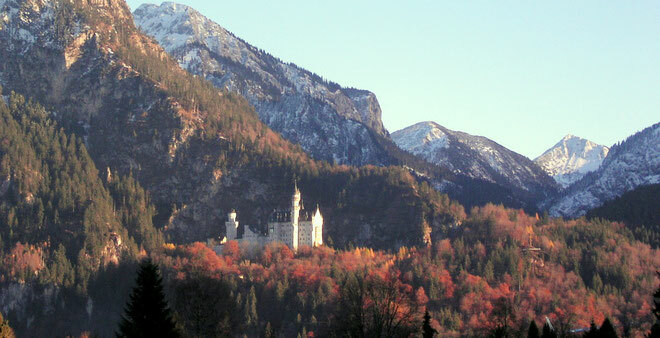 Come and visit the marvellous castle Neuschwanstein, built up by mad King Ludwig II. !